Is the Nikon DL24-500 good for Sports Photography? 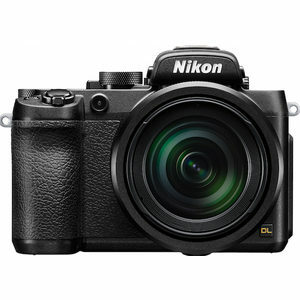 Nikon DL24-500 has a score of 63 for Sports Photography which makes it a GOOD candidate for this type of photography. Nikon DL24-500 will satisfy most of your needs, but if you are looking for a camera that is even better suited to Sports Photography, we recommend you to check the Alternative cameras at the bottom of this page. 500 mm reach lens will be adequate in most sports events. In most sports events, you shoot at high speed for a long time and this drains the battery pretty quick. With a battery life of only 290 shots per charge, you may need to change batteries very frequently in the middle of an event. Nikon DL24-500\s compact body is not very ideal for sports photography as it lacks the external dials and knobs to change the camera settings fast and the ergonomics doesn't help you to have the most stable shooting position.